Josh Wishard wanted to run a tournament to bring about awareness to drunk driving and how it can affect people. He decided to host a tournament to honor his brother, Cameron, who passed away from such instant. He always wanted to sanction it. A week after he hosted the Second Annual Wishard Memorial, Josh Wishard, passed away. 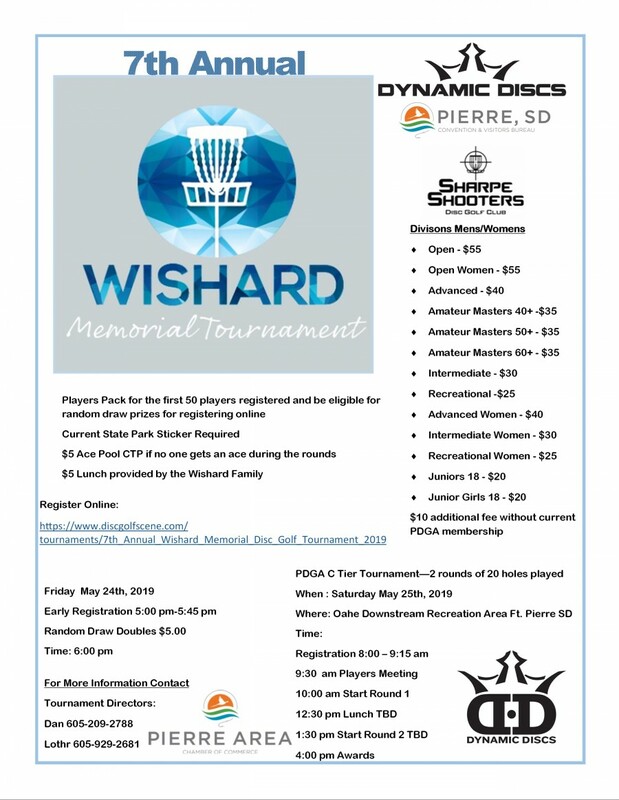 The SharpeShooters Disc Gold Club wants to honor his wish and host and sanction this event. This tournament will consist of 2 rounds of 20 holes at the Oahe Downstream Recreation Area. SharpeShooters Disc Golf Club is responsible for all refunds/cancelations.